Sketch Burger’s Phyllis Farquhar: I really love to make biscuits, and people really seem to enjoy eating them. I’m not a big fan of traditional biscuits myself. So, when I was creating this recipe, I tried to come up with a good cross between a Parker roll and a traditional biscuit. Enjoy making (and eating!) Sketch’s biscuits. Blend flour and dry ingredients with margarine until crumbly. Make a well in the center, add buttermilk and yeast, and gently combine. Turn out on a floured surface and knead briefly. 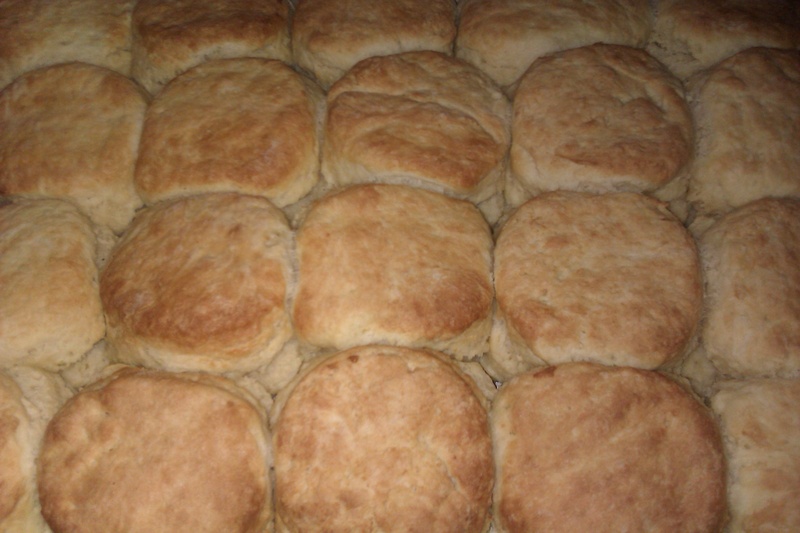 Roll out dough 1 1/2 inches thick, and cut into 20 pieces, using a biscuit cutter.